A NEW YORK TIMES BESTSELLERAs a part of the monumental DC Comics - The New 52 event, comics superstars Geoff Johns and Jim Lee bring you an all-new origin story for the Justice League!In a world where inexperienced superheroes operate under a cloud of suspicion from the public, loner vigilante Batman has stumbled upon a dark evil that threatens to destroy the earth as we know it. Now, faced with a threat far beyond anything he can handle on his own, the Dark Knight must trust an alien, a scarlet speedster, an accidental teenage hero, a space cop, an Amazon Princess and an undersea monarch. Will this combination of Superman, The Flash, Cyborg, Green Lantern, Wonder Woman and Aquaman be able to put aside their differences and come together to save the world? Or will they destroy each other first?In one of the most game-changing titles in comic industry history, Geoff Johns and Jim Lee re-imagine the classic heroes of the DC Universe for the 21st century. 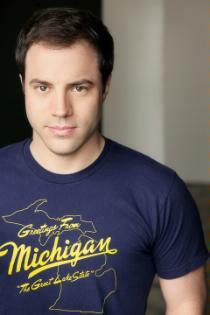 Geoff Johns originally hails from Detroit, Michigan. He attended Michigan State University, where he earned a degree in Media Arts and Film. He began his comics career creating and writing Stars and S.T.R.I.P.E. for DC Comics. His first comic assignment led to a critically acclaimed run on the The Flash and JSA for DC Comics. Since then, he has quickly become one of the most popular and imaginative writers in comic books today, working on titles including a highly successful re-imagining of Green Lantern, The Flash: Rebirth, Superman: Secret Origin, Action Comics, Adventure Comics, Teen Titans, Justice Society of America, Infinite Crisis and the experimental breakout hit series 52 for DC with Grant Morrison, Greg Rucka and Mark Waid. Geoff received the Wizard Fan Award for Breakout Talent of 2002 and Writer of the Year for 2005, 2006, 2007 and 2008 as well as the CBG Writer of the Year 2003 thru 2005 and 2007 and 2008 and CBG Best Comic Book Series for JSA 2001 thru 2005. Geoff penned the acclaimed "Legion" episode of SMALLVILLE. He also served as a writer for the fourth season of ROBOT CHICKEN. Geoff is currently working on film projects with Warner Brothers to be announced soon. Geoff recently became a New York Times Bestselling author with the graphic novel Superman: Brainiac with art by Gary Frank among many others.